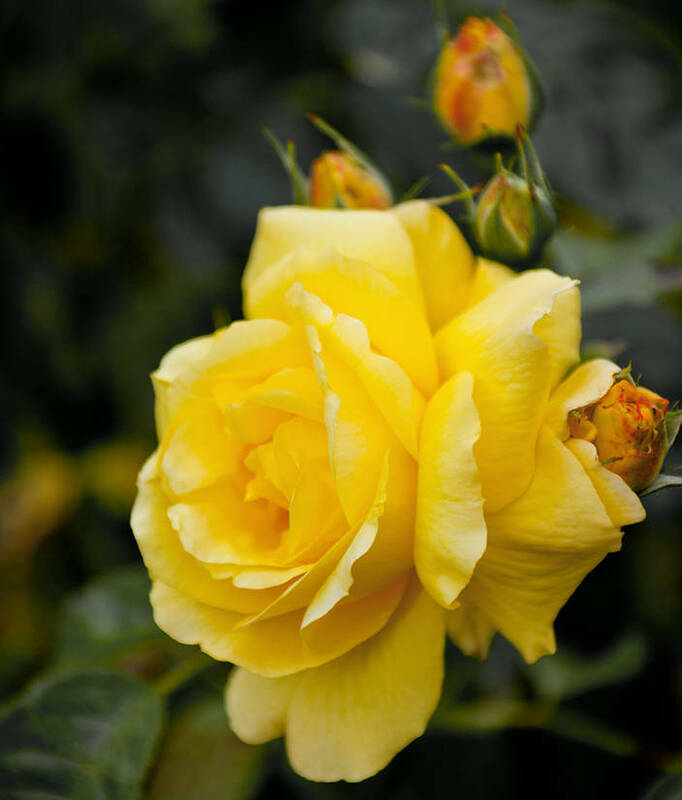 This Yellow Rose was taken at the end of the Garden in Grantham, UK. I used sRGB colour space instead of my normal Adobe RGB. Colour space determines the actual colour a specific RGB value corresponds to. Adobe RGB has a wider range of colour but this does mean each colour is further apart. For 8bit files you can visibly see a change when you shift a value by just 1. This is not great if you want smooth gradients but it does give richer Cyans and Greens. The narrower sRGB colour range is the standard for web output as it approximates the colour range of most cheap computer displays, but for how long. The last display I bought boasted 100% Adobe RGB which means it will not be long before most can show these extra colours. For now I’m going to switch to sRGB to test the use of this colour space. N.B. After testing Firefox reproduces colours far more faithfully than I.E. Very nice image. Lovely composition!